PulpTech is proud to announce a new partner, Conmark Systems Inc. Conmark is the umbrella organization of several domestic and international companies, dedicated to bringing new solutions to the Pulp and Paper in North America. 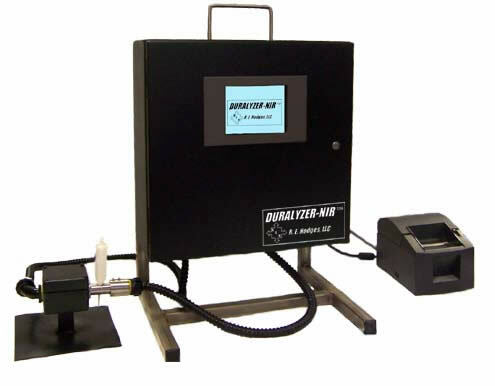 With Conmark comes the new revolutionary DURALYZER-NIR series of liquor analyzers. They represent a new generation of process liquor analyzers for alkali based chemical and semi-chemical pulping and recovery processes. For a comprehensive study of this technology please read about it here in a recent TAPPI Publication. 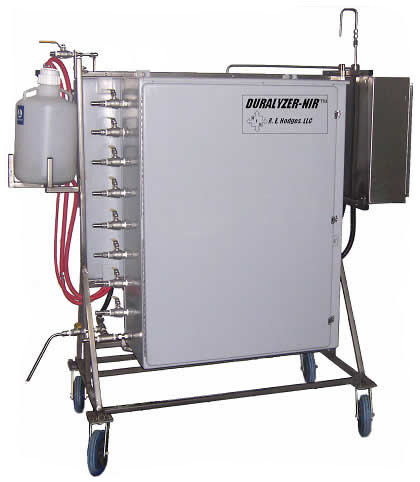 DURALYZER-NIR Architecture uses process sample extraction technology coupled with near-infrared (NIR) spectroscopy for sample analysis. As a result of this design, all analyzers share a common technology platform. This common technology platform has been engineered into a set of highly integrated, completely self-contained analyzers with the lowest maintenance requirements ever achieved for these applications. The following figure shows the general hardware arrangement for these analyzers. For a comprehensive study of this technology please read about it here in a recent TAPPI Publication.